What is CVYR’s favorite craft you ask? Well, it is a combination of awesome & simple, and the possibilities of design and pattern are endless. Plus, you don’t have to have too much creativity, but you can fit a boatload of creativity into it as well! 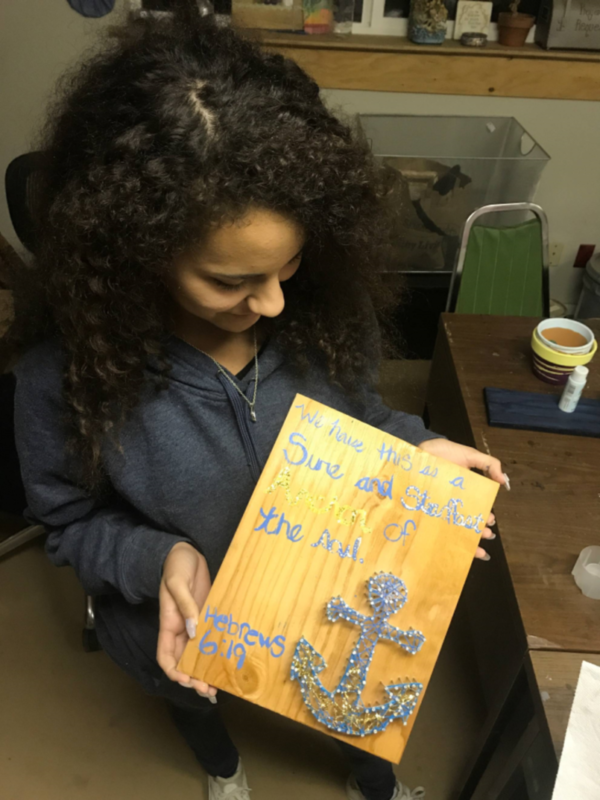 It is suitable for almost every age… Nail String Art! 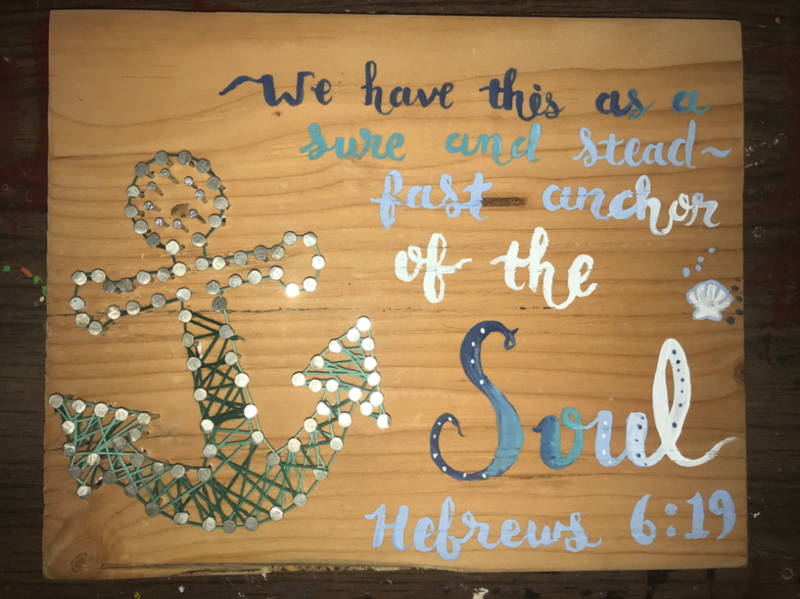 Pretty much, you hammer nails in a shape or design into a piece of wood, and you string some colored string across them. And it turns out super cool! 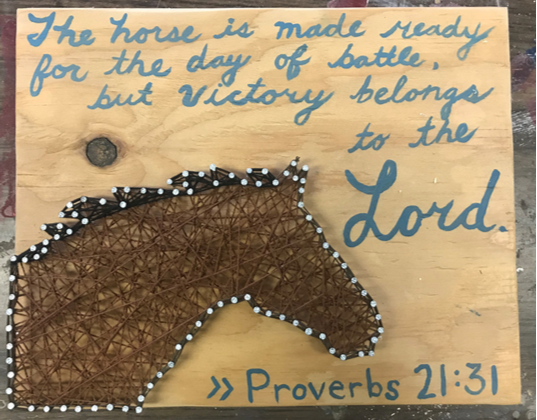 Here are a few that have been made here at the Ranch; of course, we like to add some of our favorite bible verses. There is so much to be made! Lets get started! 1) Draw or trace your design onto the wood. When tracing, we like to use carbon paper. 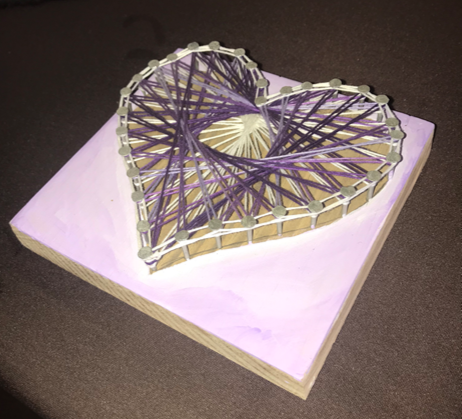 You can also place your paper design on top of the wood and just hammer into the wood through the paper, and when finished you can tear the paper off. You may have to use tweezers to get all of the paper. 2) Hammer those nails on your design! Depending on how large your design is, we space our nails about .5” apart. Make sure you hammer your nails at least half way in—we don’t want those suckers falling out. For goodness sakes, don’t hammer them all the way in, either! 3) Now, pick the color string of your choice and tie to the end of one of your nails. Now, start stringing it across your design! You can layer different colors too. You can either string randomly, or in a pattern, whatever you desire! 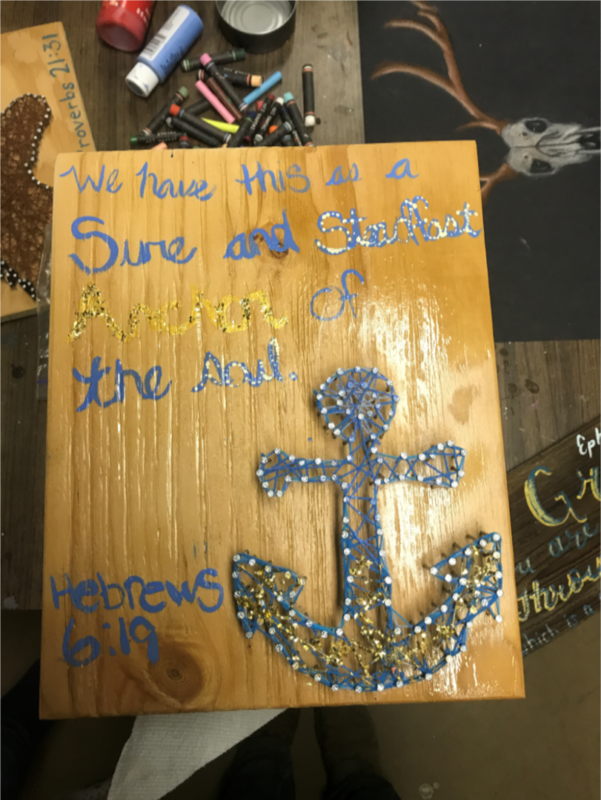 4) You can add some paint, glitter, or even your favorite bible verse! 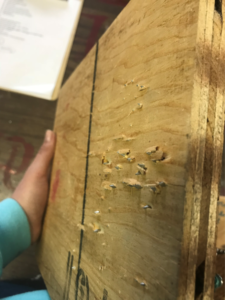 Note: Pay attention to how thick your board is… we had to pull this one off of the table! Sometimes if you hammer them too deep, they will stick out the other side, so be careful. Once the product is finished, we usually slap a coat of lacquer over it to make sure the paint stays on. Hang it on a wall and enjoy!